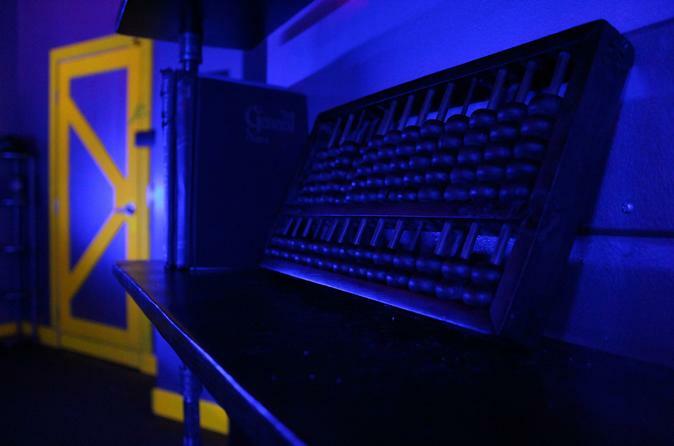 Challenge yourself by trying to escape the Project Poseidon Escape Room in Las Vegas! Solve challenging puzzles, hidden clues and open locks to make sure you are able to escape within the 60-minute time frame! Once inside the room, you’ll have one hour to find clues, solve all the puzzles and escape. Along the way, if your group is stuck and needs a hint, the friendly staff will give you a nudge in the right direction. The rest is up to you! Great activity for friends, families and co-workers. Your Mission: You have been recruited by the Department of Metaphysical Enterprises to carry out a Top Secret operation. As the heads of your fields, we are entrusting your team to investigate the work of Dr. Ian and his creation of his machine of questionable origin. The mission and any intel you acquire is to remain CLASSIFIED and on a strictly need to know basis. Find out what Dr. Ian was working on and assess any dangers the machine may pose to the organization…and possibly even the Earth itself.